Waisted Efforts is a source of several period patterns from the 17th through the 19th centuries. 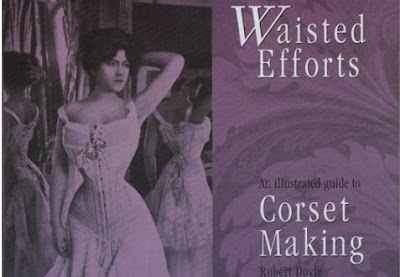 The book is written from a Costumer's point of view that addresses the issues of fitting to the body, constructing toiles and fitting muslins that many Costume History books do not attempt to explain or explore in any depth. Mr. Doyle provides a step by step look at making stays and corsets, but keep in mind the instructions are not following period techniques. A good addition to the library and not a waste of effort at all!